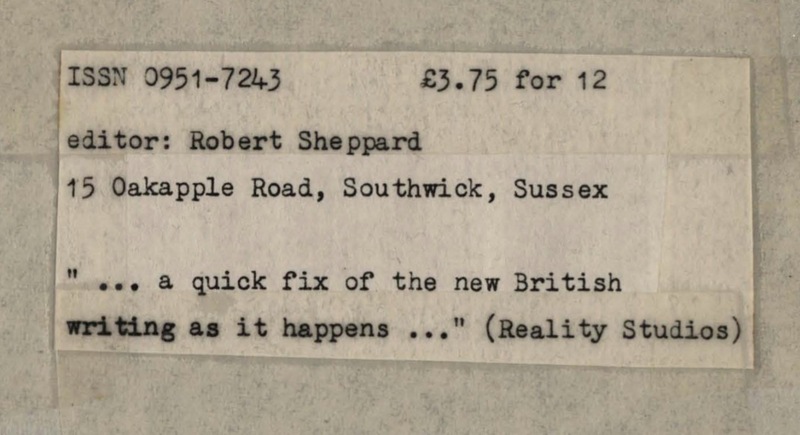 Breaking with issue-based enumeration — and Jacket2 Reissues standard formats — this special archival release of Robert Shepherd’s singular Pages reopens the poetics of the page alongside a snapshot of “linguistically innovative poetries” in the UK from 1987 to 1989. Rather than scan the magazine as it circulated — a two-sheet, eight-page photocopied zine on white paper — this reissue presents the original camera-ready paste-up sheets of Pages as they were prepared by hand by Sheppard. Scanned at the University of Salford, Manchester (UK) by Joey Frances in collaboration with Scott Thurston, these newly public “pages” are cut and arranged to present reading copy PDFs in the sequential order of the magazine, mimicking the folding of the sheet in its original distribution. While the digital images are rearranged to simulate print distribution, the “cut-and-paste” editorial aesthetics of Pages seem eerily predisposed to internet circulation today. In both directions, Pages turns the reader’s attention to the materials that undergird circuits of poetic dissemination, on and off the page. Amidst this shuffling of pages — between paste-up, magazine, and PDF — the reader will find an exceptional collection of innovative poetry tightly edited by Sheppard for the magazine’s minimal eight-page issues. Later pages draw out a line from Ken Edwards, who aptly cites Pages as “a quick fix of the New British Poetry as it happens.” The speed and urgency of this photocopied fix is seen in the variety of materials, tapes, pastes, and inks that mark these pages, just as it can be read within the heterogenous set of experimental verses that populate each issue. 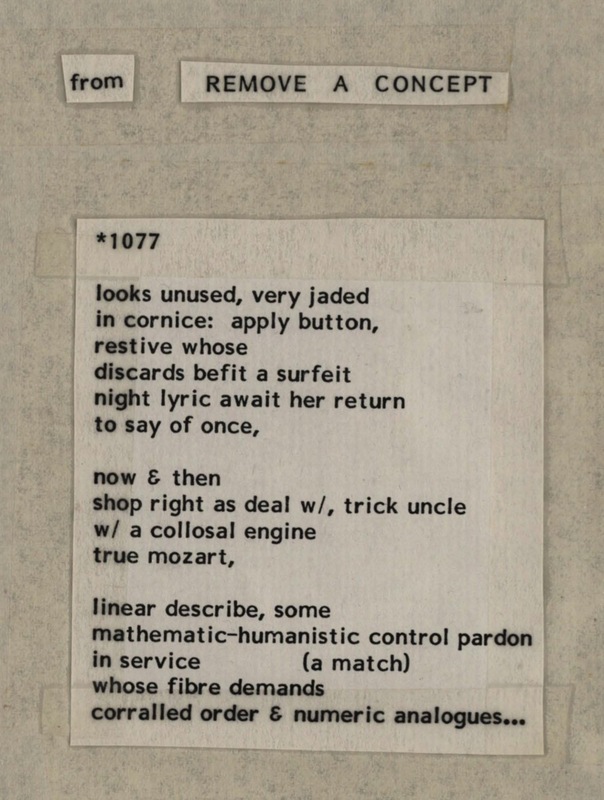 Computational poetry intermingles with abstract drawings that turn into political poetic tracts that meet with absudist comics that open onto linguistic field verses that respond to prosodic enigmas: there is much to discover within these pages. Contributors include Gilbert Adair, Chris Beckett, Adrian Clarke, Bob Cobbing, Robert Creeley, Ian Davidson, Ken Edwards, Patricia Farrell, Virgina Firnberg, Allen Fisher, Alan Halsey, Peter Middleton, Sheila E. Murphy, Maggie O’Sullivan, Tom Raworth, and Lawrence Upton, to mention only a small sample of the contributors to the magazine. 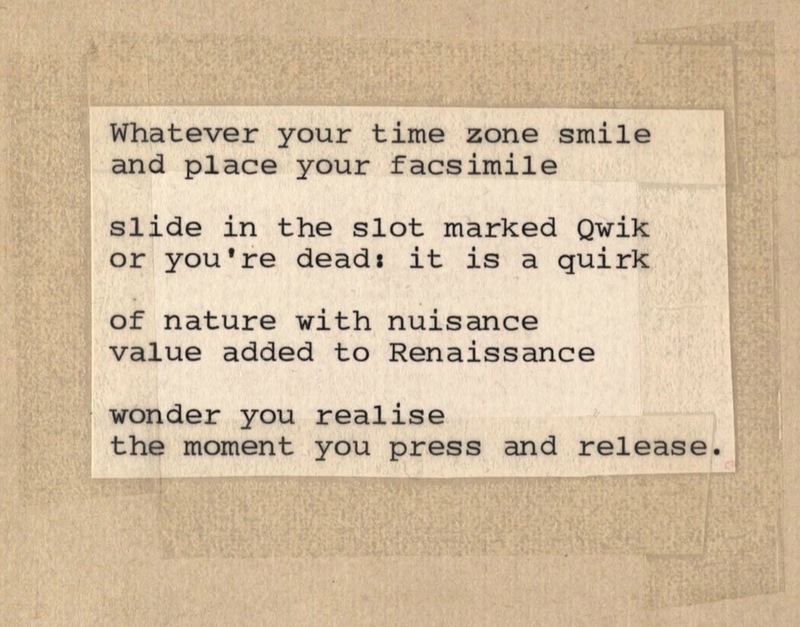 For more on Pages, its history, format, and interventions into linguistically innovative poetry, there is an interview between scanner Joey Frances and editor Robert Sheppard at Reissues Commentary here. All Pages are available for download or browsing below. Each PDF is fully searchable and bookmarked for easy navigation to individual pieces within the magazine. This reissue is edited by Danny Snelson with scanning and editorial assistance from Joey Frances and support from Scott Thurston and the Kelly Writers House. The complete set of Pages is available for download here: [ZIP, 97.1 MB].